A long long time ago- movies were called: Bioscopes. Sounds funny now doesn't it? One day people will say: "A long long time ago, there lived a man who created such an amazing body of work. He went by the name "Ziggy Stardust". But only for a while. Then he morphed into other personas. He made movies. He produced other artist's work that weren't in the mainstream. He refused to be put in a box, he was after all from Mars. In the start of it all people thought he was just strange. But by the end of his life, a mere sixty-nine years later, he was seen as a Hero. He even sung about that too! Way before his leaving the body! He was all knowing in many ways. The world said "Travel well Mr. Bowie, become one with the stars". What a role model he was! Then a few days after he joined the stars, more 'stars' joined him! In one week the planet earth people said good-bye to Bowie, Rene Angelil, Alan Richman, and Glenn Frey. That was mind blowing. That so many great artists would cross over during the same period. I think its going to continue. That many of the 'greats in the arts' will leave the earth this year. Saturn which rules the long lasting and in the sign of Sagittarius -across the globe fame- is in a square to Neptune in Pisces. The latter rules the music/art world. We are just six weeks away from the Solar Eclipse in Pisces at 19 degrees. Venus was at this degree in the sign of Sag, when the ushering out of the greats started. Solar Eclipses bring change that touches the "global family"........ and we certainly saw the out pouring of love and thank you for being you- and farewell...during the first month of 2016. All this saying good-bye made me more aware of how important it is to pay close heed to father time. The clock is always ticking, but we become relaxed about it. Never giving consideration to the fact that our time on Earth is limited. No matter what your age. Our lives are like a movie. A bioscope. So do some watching of the footage you've already created, and what more you'd like to leave on your very own personal home movie. Don't be so casual about your life that you never give a thought to what you really want to do or say- DO IT RIGHT NOW- today! LIVE FULLY! On Jan 25th, Mercury the trickster will station direct at 15 degrees Capricorn. On the 29th Mercury will pass over Pluto for a second time - by conjunction. The first pass being on the 22nd. This is a 'serious sort of mood' kind of day. TAP into what was going on for you around the 22nd. What needs to be given up? Or SET IN CEMENT? What 'script' can we now live out in our lives instead of doing the re-run in our head of the pros/cons? Mercury-Pluto is DECISIVE action. The week 22nd-29th, is a period that should of pointed clearly to you- what of major importance is going on-in communications with others, with your own mental process- and how you can play detective and discover where you wish to find TRUTH. What is your truth? And hey, who poisoned the water in Flint,Michigan. Whose gonna PAY for THAT? HOW TO FIX IT? Then on the 31st...we will close the first month of the year with Mercury in a square to Uranus... so I think ... a big surprise, that no one likes is coming. That is with the water issue in Michigan and with more bizarre weather patterns. And happy times will come in 2016. They are here now. They are in every moment that you can grasp them. How to grasp them? Grab the one you love and HUG HUG HUG. Send silly love songs via the internet. Try out that crazy idea of a screen play...and just learn how to PLAY! Allow yourself some playtime. The first week in February offers some chances to discover and declare your love! This isn't limited to 'people'. We have moved into Aquarius - humankind and the 'collective' energy.....plus Mars will sextile Pluto- and that's a major mojo of movement towards what you can manifest. Its super-solver dynamite energy - ! Mars is still in Scorpio- and Pluto rules Scorpio, so you've got some GREAT support for tapping into unlimited resources. This is - touchdown energy! Navy Seal, Bionic, Superman force. Bet Hillary manages something marvelous this week. The actual day of the sextile is Feb 3rd. It will be felt a few days before the exact event. Apply for that GRANT! Plan to 'present' your concepts for consideration this week! Then on the 6th of Feb, Mercury will trine Jupiter. This is a flowing aspect. It helps you review your 'belief systems' and how you relate to others. Where can you create healthy contracts that match your ideology and also increase your awareness? What 'study' would benefit you now? Are there any 'tests' that you need to re-take? Re-do the website! Add a new button. Reach out to a different sort of organization that might be interested in your idea. Maybe its even one that turned it down- but hey, you did a re-do on it - so resubmit. Host a study group. Start a book club. READ! Put down the iphone and pick up a BOOK. On Feb 8th, the Chinese New Year- we get a new animal... THE MONKEY! The monkey is indeed rebellious. He was, according to the story, born out of a rock, fertilized by the grace of Heaven and Earth. Being extremely intelligent, he has learned all the magic tricks and gongfu from an immortal Taoist master. Now he can transform himself into seventy-two different images such as a tree, a bird, a beast of prey, or an insect that can sneak into an enemy's body to fight him or her inside out. Using clouds as a vehicle, he can travel 108,000 miles at a single somersault." It also reminds me of Hanuman. 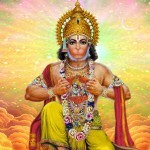 This great Monkey was the servant and devotee of Rama. Hanuman represents one pointed devotion to divine. Since we are going to be entering the year of the Monkey let us find where to place our devotion. Let it develop into unwavering strength. In the Hindu faith, Hanuman is the protector....... he will protect the righteous. We all protect ourselves with right action. Help Ever Hurt Never. And we help most, by being loving to ourselves first, and then to others. Venus which rules love will be in Capricorn until the 16th of February. She will make aspects to Pluto, then Uranus, then Jupiter. The mountain journey of love will call for trying a new path in February. Valentine's day won't be all chocolate and roses. It will more likely be- a major readjustment in love. Many couples will part ways. Some will find the middle ground after very deep discussions. What has been hidden or not spoken about, will be. The 'love day' has a way of making it painfully clear where you stand or don't stand in someone's heart. It shouldn't be about a 'day' and most of the time- its really not. When you have the entire world focused on 'love' for a day, when its missing it becomes painfully obvious and often leads to seeing what really is/or isn't there. It has not a thing to do with chocolate- but with where your intention and motivation is. We have a quarter moon on Valentines day this year- in the 29 degree of Taurus. That is the degree of endings. So, 'If love isn't being served, its time to leave the table'. You won't be crying for long though! Venus makes a smiling sextile to Saturn on the 29th of February. As we say goodbye to February, all ends well. Its a leap year and you'll be able to jump into a new movie....a love story worth telling .....one of your own making, with a happy ending!